The most common fracture of the hand is referred to as a “Boxer’s Fracture”. As the name implies, this fracture is most commonly the result of a striking a solid object with knuckle of the small finger. Usually from angrily punching a wall, other immobile object or from hitting someone else. San Francisco Giant’s ace pitcher finished his spring training with a new twist on this common fracture. He found out that putting his hand in the way of a hard hit ball (off of his 101 mph pitch) is a good way to start the regular season late. Although I haven’t seen the x-rays, it looks like he suffered an impact to the small finger side of the hand. 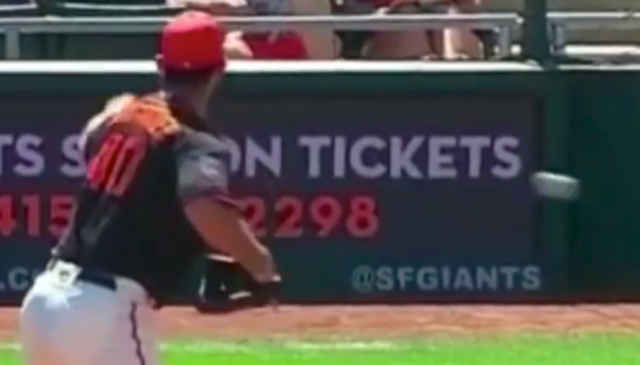 In this video excerpt from MLB baseball, concentrate on the ball and you can see Madison Bumgarner, in effect “punching” the ball, reportedly causing a fracture of his small finger metacarpal (bone in the hand from the knuckle to wrist bones). Find out more about fracture and sports injuries at TheHandDoctor.com and American Academy of Orthopaedic Surgeons. Depending on the fracture pattern, these fractures can be set and held in a cast. If out of position, or if the break is toward the base of the metacarpal, (closer to the wrist) pins, or even a plate and screws are needed to correct and hold the fracture in position. In the case of a professional athlete, surgically fixing the fracture to leave nothing to chance, is the way to go. These fractures typically heal in 3 weeks. A professional pitcher will likely miss 6 weeks to rehab his throwing hand. Tough start for Bumgarner and the Giants. BTW… Opening day today! Let’s play ball!! Engagement ring piercings? Not the best way to show your love or good judgement! While body piercings routinely heal and do well in clean, protected areas of healthy skin with good circulation, the implantation of a metal-backed, Microdermal ring finger piercing, is ill-advised. Since the circulation and healing potential of the hand is good it might be tempting to conclude that this is a safe idea. Not in this Hand Surgeon’s opinion. I do too much surgery already treating hand infections without introducing an implant. Even traditional rings can get caught and cause severe degloving injuries (just ask Jimmy Fallon). These piercings introduce a whole different level of concern. 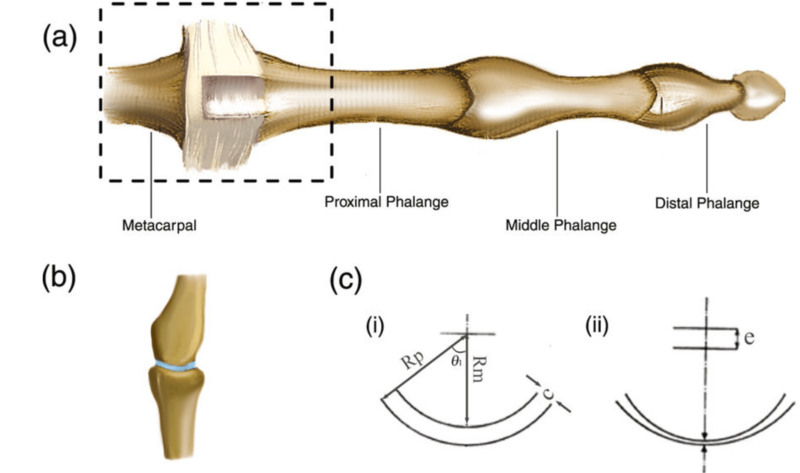 The lack of padding in the area of the extensor surface of the finger, and the motion of the extensor tendon immediately below the skin is a formula for tendon injury. The tendon is at risk of damage from the procedure itself or erosion over time from constant motion of metal against extensor tendon. The backing (anchor) can become detached and migrate either after catching the ring during activity on or wear and tear failure. Finally, and most devastating, is the risk infection. Our hands are not the cleanest area of our bodies and the ring piercing is unlikely to wall off (epithelialize) around the implant in the same way piercings do in other parts of the body. Infection might be treated effectively with ring removal and a course of antibiotics, but it could also result in deep space infection requiring extensive surgery and require long term antibiotics. Such finger infections can be hard to eradicate and result in permanent loss of motion, or even finger loss. I’d rather we not meet in the Emergency Department, headed to the Operating Room because you wanted to show your love with a finger ring piercing. Show you love in another way and protect your hands! The wrist is a very complex joint… with motion nearly equal to the ball and socket joints of the shoulder and hip, it is made up of 10 separate bones held together by a complex lattice of ligaments. Considering the demand we put on wrists, and the trauma they are subjected to, our wrists hold up pretty well. 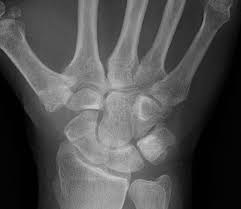 Wrist injuries are very common with most the result of falls and include distal radius fractures and scaphoid fractures. If a ligament tears before a bone breaks, you suffer a wrist sprain. A sprain is an injury of the structures connecting bone to bone (ligaments). These injuries vary in severity, and in the case of the wrist, vary in pattern and consequence, by which of the many ligaments of the wrist are involved. Ligaments do not show up on X-ray, only the bones are seen directly. An injury to the ligaments of wrist, can however, be inferred by a change in the relationships between the wrist bones. A motion study with a fluoroscopy unit (motion X-ray), can help make the diagnosis. Typically this type of study is done in a hospital radiology department but as a specialist limiting my practice to the hand and arm, I have a hand-specific fluoroscopy unit. The Orthoscan Mobile DI unit is an invaluable adjunct to such wrist and hand examinations. Cool, don’t you think! Once a definitive diagnosis is made, treatment can range from rest and immobilization to therapy, injection and surgery. Early and accurate diagnosis is very important for such injuries, if examination, X-ray and fluoroscopy doesn’t result in an answer, MRI is the definitive way to visualize the ligaments and other soft tissues (non-bone) of the wrist. If you do fall and symptoms are severe or last for more than a week or two, get in to a specialist, you won’t be sorry. People who use their hands repetitively can develop carpal tunnel syndrome (CTS). Many tasks at work are repetitive and even hobbies like knitting, sewing, crafts, woodworking or playing computer games can result in CTS. As a hand specialist, I doubt a day has gone by without at least one person with this condition making up my clinic schedule. This common condition can cause pain, numbness, burning and tingling and sometimes progresses to hand weakness and muscle atrophy. 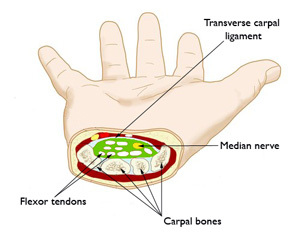 CTS results from compression of the median nerve at the level of the wrist bones (carpal bones). This nerve controls 80% of the sensation and 20% of the small hand muscles. At first CTS symptoms of numbness and tingling might awaken one from sleep or occur with use. Symptoms progress over time to more consistent episodes of pain and even hand weakness. Images from AAOS fact sheet. Women are more likely to develop CTS, especially during pregnancy. CTS is sometimes associated with certain medical conditions including diabetes, thyroid problems, arthritis and kidney insufficiency. An evaluation by a specialist and blood work may be needed. 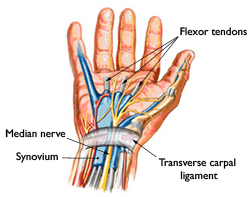 The nerves to the hand can also be pinched at other levels, including neck, shoulder and forearm, resulting in symptoms similar to CTS. Please don’t assume a “little numbness”, especially if present for more than a few weeks is normal. Seek attention for your symptoms. Seek a specialist for evaluation. Further information is available on my website and if you are aware of persistent symptoms contact Dr. Balorudas. Our ability to pinch and grasp is easy to take for granted. I came accross this great quote in science fiction writer, Isaac Asimov’s Foundation series recently and have to share it. Who would have thought someone other than a hand specialist would understand the hand so well?! And what is the most crucial part of the hand and the most devastating if lost? You guessed it: the thumb. Loss of use of the thumb due to pain, weakness or loss of motion from injury or arthritis has a profound affect on daily life. Arthritis of the base of the thumb goes by other names: Thumb basal joint arthritis and CMC (carpometacarpal) arthritis. Arthritis is progressive and can cause pain, weakness and stiffness and impact daily activities including opening jars, turning doorknobs or keys, using a computer mouse, and writing. Arthritis of the Basal Joint of the thumb. Other conditions and injuries can cause similar symptoms and difficulties. There are many important structures that can be affected that affect the area. Tendons (DeQuervain’s tendinitis), nerves (radial and median), as well as other ligaments and bones which are in the vicinity of the thumb basal joint. 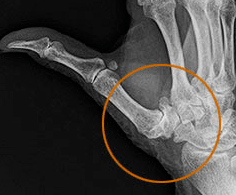 An accurate diagnosis of Thumb Basal Joint Arthritis is made by examination by a specialist, x-ray and sometimes other studies to be certain other diagnoses are not at play. Treatment options for thumb arthritis begin with assisting in the managment of pain and improving motion and function with ice, heat, anti-inflammatory medicines, splinting and adaptive aids. Treatment is commonly provided by a skilled hand therapist. 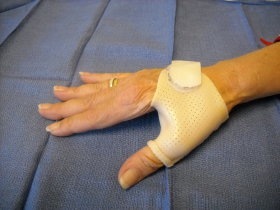 Further treatment by your hand specialist includes injections and surgery. Joint replacement surgery, (similar to joint replacement of the knee or hip), is the most common procedure for arthritis of the hand or arm. This procedure has a 30 plus year history for effectively stopping arthritis, providing pain relief and improved pinch. Some informative links to more information on the subject: My office website, American Academy of Orthopedic Surgery, American Association of Hand Surgery, and Dr. Eaton’s website. Hand rejuvenation for hand selfies!? Hands down to these women who are taking engagement ring selfies to the next level. Climber’s finger, like many injuries that can affect the hand and arm can occur from trauma but frequently develops from repetitive overuse. Because of the cause and nature of the injury it is difficult for the individual to stop the activity to allow the needed time to heal. With climber’s finger the problem develops from the forceful and repetitive use of one or more fingers, commonly the long finger for a fingertip hold. The injury can range from inflammation to a significant injury to the small but crucial pulleys and sheath that support the flexor tendons in the finger. Example of possible injuries seen in climbers. To slow the damage and inflammation, standard initial measures can help (ice, rest and activity restriction). 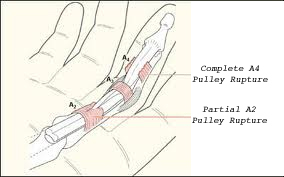 Taping encircling the middle section (middle phalynx) of the involved fingers can support the most commonly injured pulley. If there is some relief in symptoms with these measures, then there is good reason to expect that with time the area will heal. Hand therapy can help to control symptoms and encourage healing. Such efforts are aimed at decreasing the inflammation while encouraging healing of any damaged structures. If symptoms respond then the injury is partial and most likely at the inflammatory end of the spectrum of such injuries. With persistent pain and swelling, or if there is any sense that the tendon on the under surface of the finger is “loose” (pulls away from the finger like the line on a fishing rod when you’ve caught a big one!) more significant injury has likely occurred. An expert evaluation is needed. After examination by your hand specialist, an MRI scan or Ultrasound evaluation may be recommended in order to clarify the extent of injury. The physical exam and imaging studies can determine what is inflamed and what might be torn. If the injury to the pulley that supports the tendon is complete or near-complete then it cannot heal fully on its own and surgical reconstruction will be recommended. This information is provided on the basis of a presumed conditions: “climber’s finger”. Many conditions can mimic the inflammation and swelling seen with climbing and my have different treatments and outcomes. The conditions that we treat may not change much but the way that we injure ourselves changes with the technology. Take care that you don’t develop Texting Thumb. Recognized for a number of years and very treatable. Please don’t ignore your symptoms. And once in a while call! Such injuries from overuse include various tendonitis conditions and nerve entrapments (carpal tunnel syndrome etc.) Many were recognized 100 years and more ago. 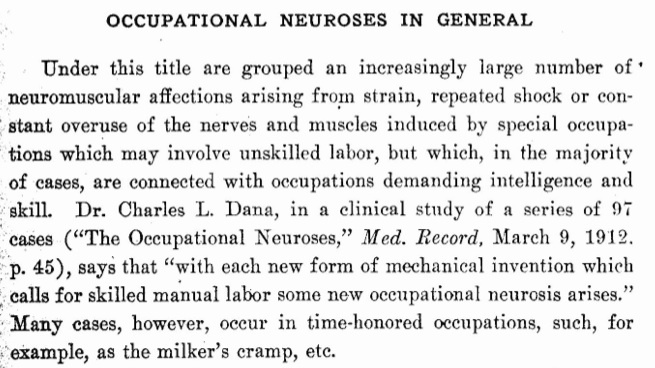 Very interesting excerpt from a 1914 text on Occupational Disorders. It goes on to describe conservative treatment similar to measures we employ today! The more things change, the more they stay the same. Check out the occupations associated with these conditions in 1914. No texting to be found! And please don’t text and drive!